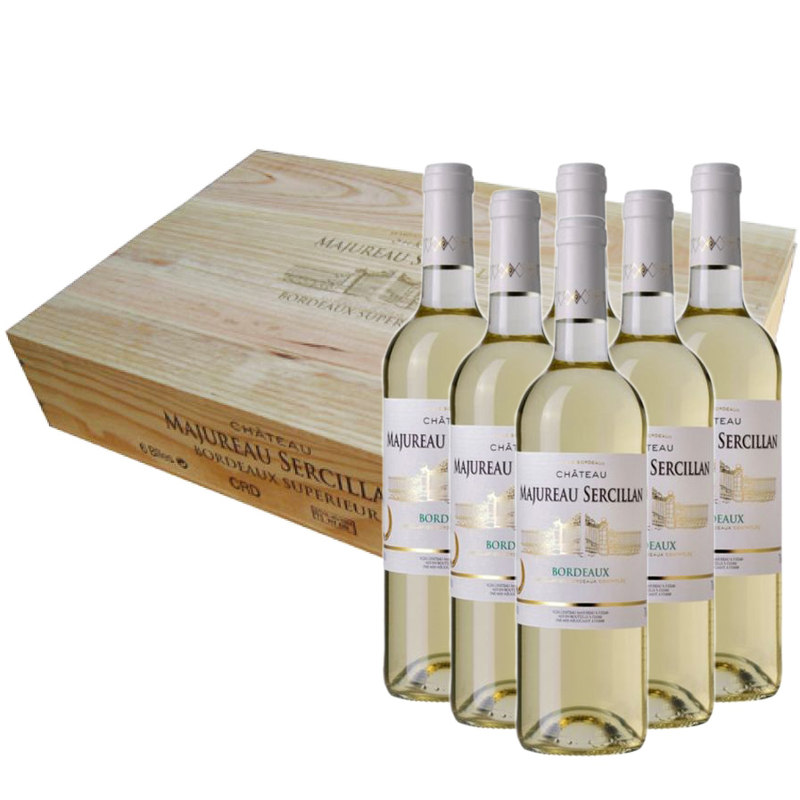 This is a lovely presentation box containing 6 bottles of Chateau Majureau Sercillan Bordeaux Blanc With an original blend (Sauvignon Gris) it displays mineral notes (silex) turning on warm crumbs and acacia honey. Fat but lively attack. It is an explosion of freshness on the palate brought by a well-handled acidity. A subtle and pure wine, respecting each of its varietals expressions. Fresh and delicious, it will appeal to young wine lovers, or maybe kept 5-8 years to expand its balanced oak.